Our friends at Vessel had an interesting opportunity from one of their clients, Acco. 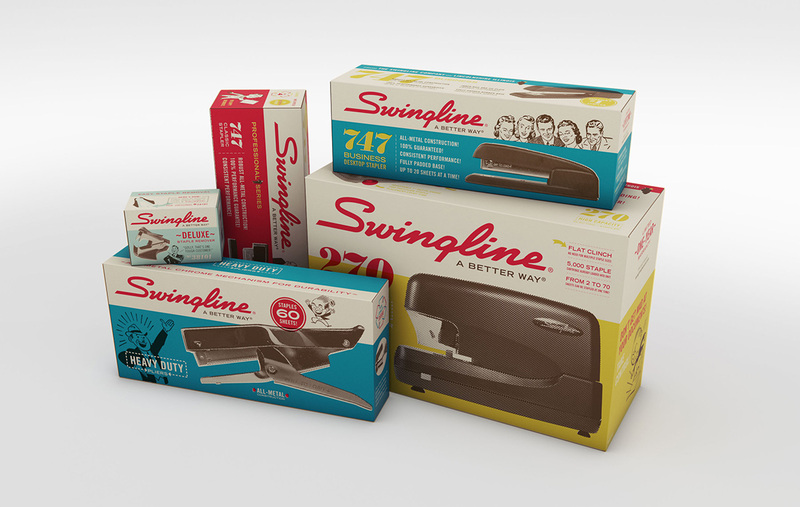 Swingline’s direct-to-business packaging was plain and boring. The client wanted to—just for fun, really—redo all the packaging in a cheeky, heavily visual way that harkened back to the company’s mid-century roots. Just as a pleasant surprise for the business customers.